The Araksa Tea Plantation is, by its own website’s declaration, one of the oldest in Chiang Mai province, Thailand. That’s not to say that it’s the oldest garden, or the oldest processor of teas. But by modern, Western-ish tea garden standards, that appears to be true. Araksa—which in Sanskrit means “Preserve”—was first plotted in 1939, utilizing assamica trees (by clone or seed) that grew plentifully in the area. Northern Thailand has a rich history of tea processing, dating back as far as the 1200s. Sheng puerh(-like) tea is the stock and trade for some of the Thai hill tribes in the area. But more established plantations were a rarity. Like many such enterprises, though, this particular garden was abandoned, likely due to shifting economic whims. As a result, the garden went feral for several decades. 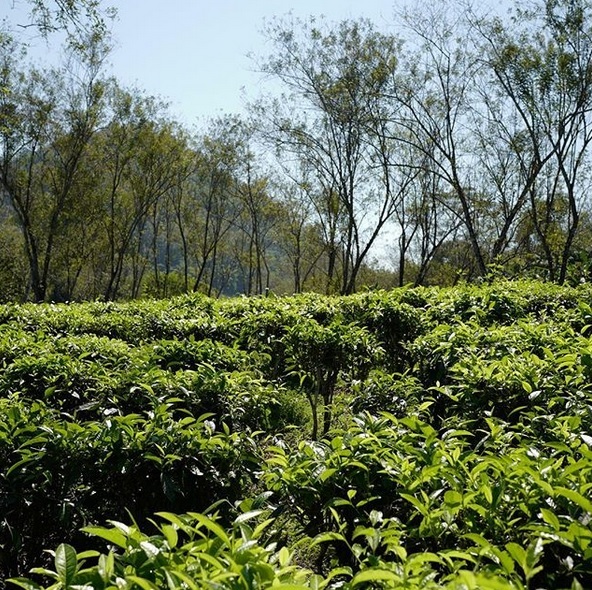 It wasn’t until 2014, when the garden shifted to new owners, that tea production of a sort resumed. However, making tea alone wasn’t the sole emphasis.